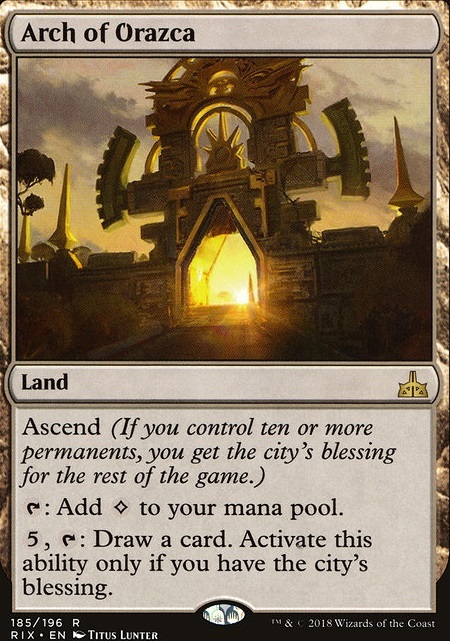 Ascend (If you control ten or more permanents, you get the city's blessing for the rest of the game.) T: Add ◊ to your mana pool. 5, T: Draw a card. Activate this ability only if you have the city's blessing. I did some more testing with the deck. 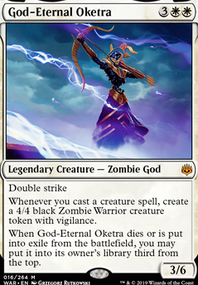 I personally feel that Arch of Orazca is a good include because it lets me dump my mana into something when I have no other plays for the turn. I definitely try to find a spot for Beast Whisperer though. Thanks for the suggestion! Lifecrafter's Bestiary , The Immortal Sun is nice but it has doubled in price to $20 I was lucky got mine for $8 then pulled one on a random pack i bought to support the store I play FNM. So I have an idea for an roleplaying variant of EDH. I call it Dungeon. 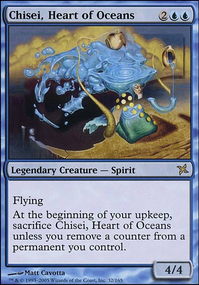 So the idea is that you use an edh deck as the basis of the deck. 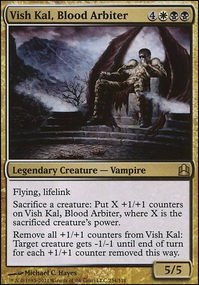 The idea is that you basically have adventurers face off against the varying things your edh deck has to offer. Additionally, you should have a 20 sided dice and something to signify each player. First, you make the map by placing all land cards in a grid. It can be placed out anyway you want EXCEPT a straight line (let's face it, that would be extremely boring). Each of the players would be set off on one side of the grid while the commander is on the other side. Next, you divide your deck among the different card types in it (creatures, Planeswalkers, enchantments, artifacts, sorcery and instants). You may place any number of the non-instant cards face down on the map as you (the dm) choose. Essentially, each of your players start at point one as a legendary creature of their own making. The rule for that however is that they role for power/toughness (scaled to their Mana cost) and pick the colors and race/classes of their choosing. In addition, they start on what you (the dm) deem square one. During the players turn, they may choose to move a square, attempting to reach the commander. However, they may have findings or encounters as they go along, which result in the adventure part. Then, during the dm's turn, they may spice up the game as needed using either new encounters, events or findings. Defeat: the heroes beat the monster and kill it. If this occurs, it enters a graveyard. Note: this means it can return later. Flee: The heroes can run from the creature, and depending on a dice roll, they may lose it. If they choose to flee, they must go to a new land card other than the direction of the commander. Befriend: This can occur in different ways as you see fit, but creatures can be persuaded to join the side of the heroes. This has a higher rate of occuring with legendaries and Planeswalkers. Encounters can't occur unless enough lands have been revealed to allow the encounter. For example, unless the team has been on five squares, you can't have them have Mycoloth appear. If a creature can't appear at that time, it's moved into the encounter deck. Some lands a player will land on will have enchantments and artifacts. Like encounters, unless they revealed enough lands, they can't appear. The effects of the enchantments and artifacts are automatic. Players can also take enchantment and artifact spells with them, like taking an object or being blessed. If that is the case, they carry them with them. Events may happen at the during the dm's turn, and effectively affect all players. These are generally sorceries. Once again, unless you have enough lands flipped to play it, you can't cast it. Players can also initiate events, but must roll a dice to decide if they occurred. The last kind is responses, which are only used during battle. If a creature is sentient (up to the dm), they may declare a response to a players action. Once again, this requires a role of the dice. If the dice roll is low, then an instant card is revealed and it occurs. Otherwise, it doesn't. In addition, players can learn responses if they've seen it at least once. Once again, this requires a dice roll. The end goal is to reach and defeat the commander. The commander is like any other encounter event, except you can't flee from it. The game ends when either the commander dies or is persuaded to fix whatever problem it's causing, based on your story. Additional note for Dms: kill spells shouldn't automatically aim for players. Also you can rename places to fit your setting as you need to (for example if you have a medieval Europe setting and Arch of Orazca doesn't work for you, rename it). I came up with this in about 5 minutes, but does it sound like fun? Are there things I should change? 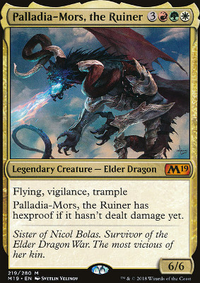 I'd drop Arch of Orazca for another basic, and slot in something like Beast Whisperer . I'd assume that this is a decision based on your meta, but is the Ravenous Slime in the board due to a lack of flash-hulk decks about? 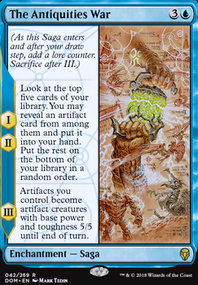 Also, a few tests show that you could think about running Scrying Sheets , Arch of Orazca , Sea Gate Wreckage , Isolated Watchtower , Strip Mine , Wasteland - all of these are low-power & will likely take time to notice the advantage that they give, but it's relevant. Lastly I'd like to ask: are the fetches used for shuffling away cards returned via sylvan library, or am I missing an alternate benefit? If you want to reduce your costs even further, Jace's Sanctum is harder to remove. You might consider Reality Shift for exile effects. // It looks like you don't like lands that enter tapped, so Blighted Cataract or Arch of Orazca should replace Memorial to Genius . Spire Garden , Exotic Orchard and Kessig Wolf Run might be good here.